Matthew Maloney is being elevated to CEO, replacing Lars Holst who will become Chairman of the group. CFH Clearing’s CEO Lars Holst will be stepping into the role of Chairman. In his stead, Matthew Maloney, CFH Clearing’s acting Chief Financial Officer, will be elevated to CEO in what constitutes its most senior string of appointments in 2017. The moves are part of a broader growth strategy for the UK-based prime of prime (PoP) brokerage. Mr. Holst has been a key player in the firm’s ascension in the liquidity and clearing space. As Mr. Maloney takes the reigns, he will be tasked with the day-to-day management of CFH Clearing and its various regulatory activities and operations. The changing of the guard is to take effect on August 1, 2017. Mr. Maloney originally joined CFH Clearing back in 2014. During his tenure he has exclusively focused on his role as CFO, which covered a variety of responsibilities. These included the running of cross-border sales, the selection and management of advisors and regulatory regimes, and various other internal functions. He joined CFH Clearing from Tradable back in 2014, having worked in a similar role as its CFO. He has been in the industry for over two decades dating back to 1997. 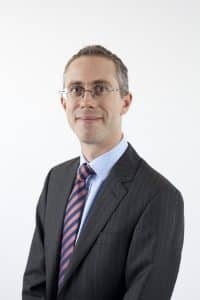 During Mr. Maloney’s decorated career he has also held senior level roles at TTT Moneycorp, FTSE International, Ipex Capital Limited, Bridgewell, and the London Stock Exchange, among others. “Matthew has impressed us all in a relatively short period of time and I have every confidence that he has the right skills and expertise to take the company to the next level. We are making these changes at a time when client numbers are at a record high and we are seeing continuous growth following the Playtech acquisition,” he added. “I am very proud of the role I have played in establishing CFH Clearing and driving the business forward. As we have said since the acquisition, the resources from Playtech add a new dimension to our business. This creates a great opportunity for the company and our clients. I am looking forward to the future with confidence and believe there’s a great team in place to maximise opportunities,” explained Mr. Holst. “Becoming CEO of CFH Clearing is a fantastic opportunity for me. Since joining CFH, the company has experienced significant global growth and I am very excited by CFH Clearing’s vision and future growth potential. CFH Clearing has an extremely talented team across the organisation and an exceptional offering for institutional clients worldwide. I am looking forward to driving the business forward,” reiterated Mr. Maloney.